Become sugar-free can be overwhelming as there is so much to juggle and get our heads around. - Balancing our sugar-free journey with family members who do not choose to walk this journey with you. The truth is, as the saying goes, 'No man is an island...' we all need to feel connected to people on the same path. I was talking to my partner yesterday who has recently fallen off his own sugar-free journey (for him it's beer and bread!)... it reminded me how much this group 'My Sugar-free Journey' holds me accountable. He said 'It's easier for you as you have to show up everyday, leading the way and being an example to everyone' and it is so true. The group and everyone's stories reminds me everyday how far I have come, how well I feel, how much my body has healed, how easy it could be to fall back into the sugar abyss, that this is a lifetime of healing, unpicking decades of being 'friends' with sugar. I still find it hard sometimes, I still get 'winked at' by food in the supermarket, Christmas is coming and the season and celebration is linked to chocolates and feasting, the shops are starting to put out spicy Christmas aromas everywhere. - Being part of a support group, online is great. - Take photos so you can see how you physically change; this maybe weight but could also be how your skin is, how healthy you look. 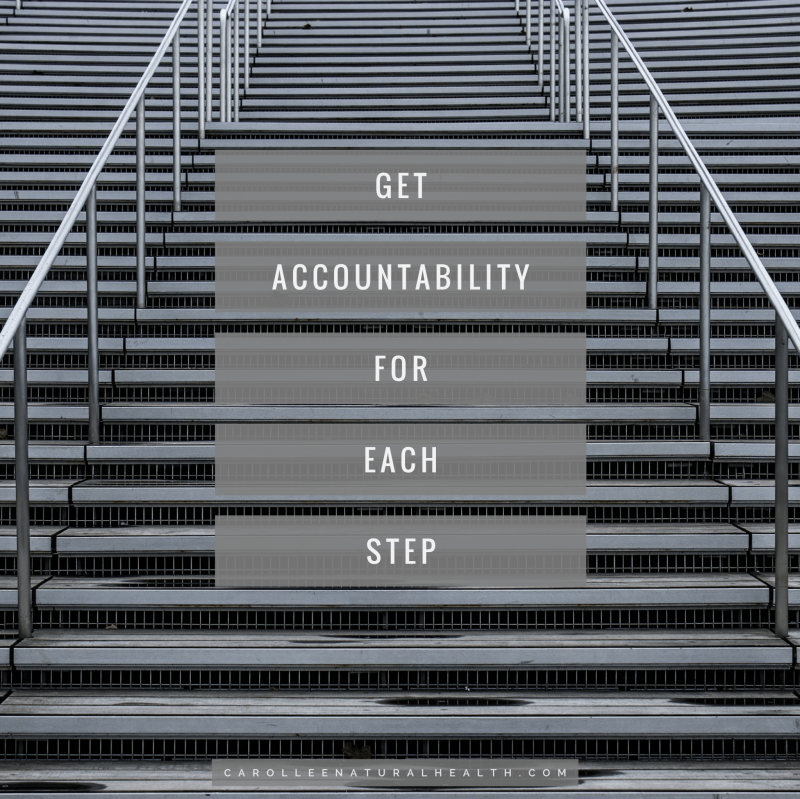 So how can you support yourself on this journey, how could you make yourself more accountable?